Whether you have naturally straight hair or have wavy or curly hair that you straighten regularly, you are most likely looking for ways to keep your hair looking good for several days in a row. Constant washing, blow drying and styling with heat set your hair follicles up for damage and are huge wastes of time when you are busy. If you want to keep your hair straight overnight, try these seven simple tips to keep your hair clean, sleek, shiny and straight throughout the day and well into the night. Thermal protectant sprays keep your hair strands safe from high heat. They should be used before blow drying your hair and certainly before straightening it. These sprays trap moisture in your hair follicles and seal each strand to make your time straightening your hair more productive and even safer. For even better results, select a silicone-infused thermal protectant that doubles as a straightening serum to help your hair follicles hold their new shape overnight. It can be tempting to try to skip part of your blow drying session to save precious time. However, if you have ever tried to straighten slightly damp hair, you are probably familiar with how frizzy it can look especially by the next day. In addition, if you go to bed with your hair slightly wet after straightening it, it will become even wavier overnight. You may also think that your best bet to get the straightest possible hair is to use the highest heat setting on your straightener. You might think this will save you time and give you the sleekest look. However, very high heat settings actually zap the moisture from your hair, which is the number one predictor of frizziness by the next day. Then you’ll have to spend time repairing heat damaged hair. If you have very fine hair, keep your straightener at 300 degrees. 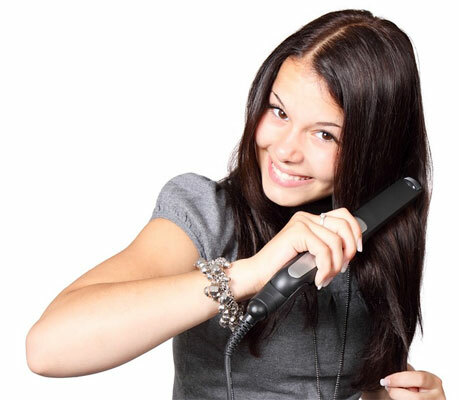 Normal hair should be straightened at up to 380 degrees, and very coarse hair can take up to 400 degrees of heat. Dry shampoo is a powder that soaks up natural oils from your hair follicles and scalp, helping you stay away from a greasy look the next day. If you have very fine or flat hair, this step is particularly important. Dry shampoo will help you keep your look volumized and will keep you from having to rewash and style your hair in the morning. Plus, it will keep frizz-inducing sweat off your scalp overnight. Pinning your hair with hair slides or grips will keep very long hair out of your face as you sleep and will keep it in your chosen style overnight. Wind small sections of combed hair loosely up to your head and secure them gently. However, make sure you do not use tight hair ties at night because these can leave extremely noticeable dents in nicely straightened hair. While loose hair ties might work well for wavy hair, they are definitely not the answer here. Much like the humidity outside that leads to frizziness and waves, heat in your bedroom can lead you to sweat, adding dampness to your hair. 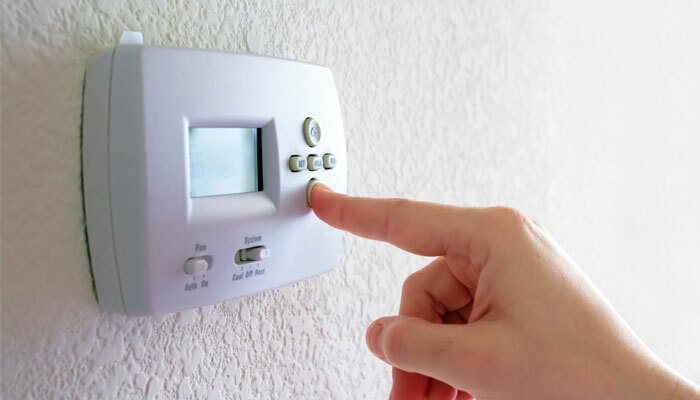 Turn your thermostat down overnight. Not only will it save you money during the winter and lead to deeper sleep, but also it will keep your hair poker straight. Many swear by silk pillowcases as the best way to sleep with straightened hair. Silk allows your hair to slide smoothly over the surface of your pillow, taking away static, reducing hair kinks and decreasing hair breakage. Cotton pillowcases are one of the worst choices you can make because of the friction they produce. Another smart way to use silk is in the form of a scarf to tie very long hair away from your face while you sleep. If you are ready to save up to 45 minutes of your time in the morning by keeping your hair straight and gorgeous even while you sleep, use some or all of these seven tips. Most are cheap and easy and will actually keep your hair healthy no matter how you style it. Now you can hop out of bed, throw on your clothes for the day and look ready to go with no lengthy straightening process to slow you down.